Late last year, we covered Earthport, the issues of correspondent banking and how the market was not necessarily valuing the opportunity. A month later, a deal had been agreed with Visa. 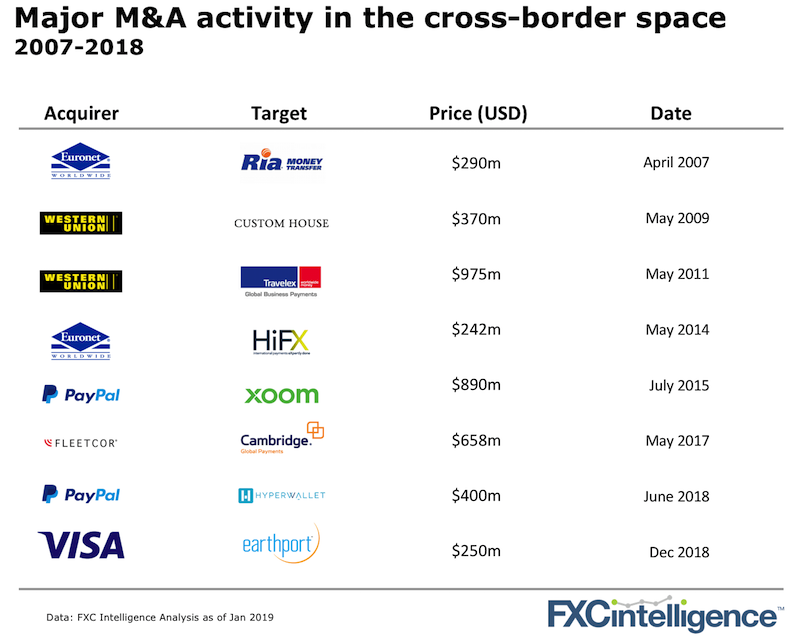 Big M&A deals are few and far between in the space. Let’s dig into this one. In November we analysed Earthport and correspondent banking. A view could have be taken then that Earthport seemed highly undervalued. A day later, the market moved. A month later, Earthport had found a suitor. Visa has paid premium price, offering around 5.3 times Earthport’s revenues for 2018, or 250 per cent of the pre-bid stock price. 1) International transactions make up around 35% of Visa’s total $20bn annual revenue and have grown 14% year over year. Visa would expect Earthport to be able reduce costs and increase speed of its cross-border payments. 2) B2B transactions at Visa represented 11% of the firm’s total payment volume in the 2018 fiscal year. Visa’s B2B Connect is a new product offering for businesses making cross-border, high-value payments. B2B has also been stated by Visa’s CEO as the top strategic priority for 2019. Earthport will improve Visa’s B2B payment infrastructure and support this goal. Was this a competitive response to Mastercard? 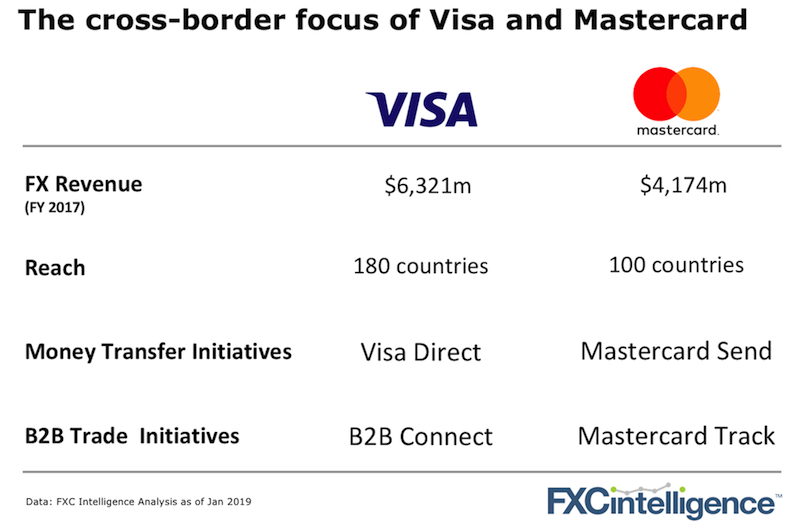 Visa isn’t alone in focusing on the cross-border B2B space. Mastercard Send also targets cross-border payments for financial institutions. Both companies have put B2B and cross-border as key initiatives to grow their businesses. If Visa and Mastercard weren’t on your radar last year, make sure they are for 2019. Their scale, this acquisition and their mountains of data make them formidable competitors. Note, as of February 8th, various counter bids have been put in with Visa leading the way with its latest bid. Call us at +44 207 871 5565 (UK/Europe) or +1 212 600 8553 (North America) or email demo@fxcintel.com for a demo. Please confirm you are not a bot. By signing up to the newsletter, you are expressly providing FXCintelligence with an agreement to send you our FXCintelligence newsletter.